Do you want to admire the best art in Florence without doing any queue? Take our Skip-the-line tickets to Accademia Gallery and Uffizi Gallery and go straight into the temples of Italian Reinassance! You will have a professional audioguide too! Do you want to discover the great art of Florence without minding about guides and groups? This is your experience! Visit both the Accademia and Uffizi Galleries in total freedom and at your own pace. Use the audio commentary of expert art historians recorded in your own language and explore the galleries. 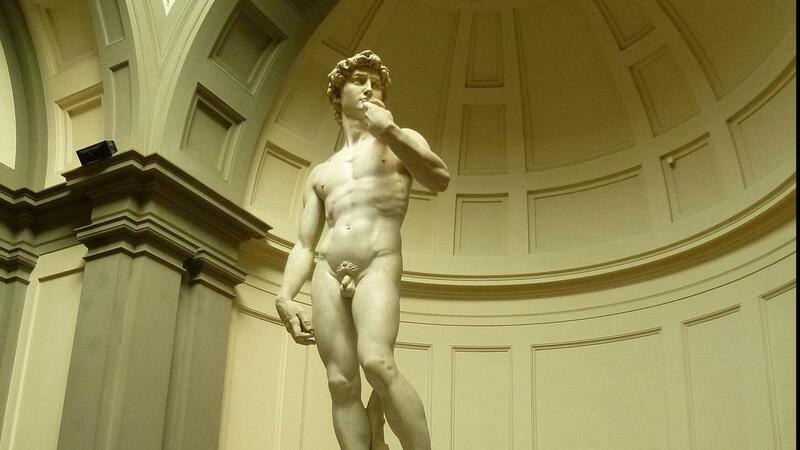 Pass this morning in the Accademia Gallery, where you will be enchanted by the art of Michelangelo and his most notable work, the David. A statue that became a symbol of strength and superiority of the Florentine Republic at the time of its highest splendor. DO not forget the other works of art by Michelangelo such as I Prigioni, San Matteo, and the Palestrina Pietà. After having traveled all the corners of the gallery, you can chill out in a typical Italian bar, have a walk in the city, or rest in one of the many wonderful squares in Florence. If you choose the lunch option, you will enjoy a delightful Tuscan traditional lunch in the heart of the city, just a few steps from the Duomo Square. The same day, in the afternoon the Uffizi Gallery is waiting for you: one of the most important art galleries in the world. You will be surrounded by many works of art by the most influential Medieval and Renaissance Artists, including Botticelli, Michelangelo, Leonardo da Vinci, Giotto, Cimabue, Raffaello, and Masaccio. The most celebrated museum room contains the elegant works by Botticelli, his supreme masterpieces: Primavera and Birth of Venus. At the Accademia Gallery Museum, in front of the entrance reserved for those with a booking.